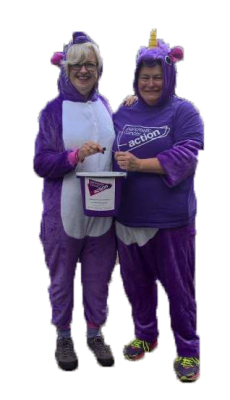 If you are willing to give up a few hours of your time, holding a collection is not only a great way to raise funds but also to raise much needed awareness within your community! 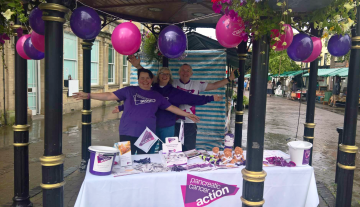 There are lots of places that you can collect funds for us such as your local high street, a local sporting event, train station supermarket or shopping centre. Supermarkets are a great place to hold a collection stand. Tesco have an easy application process which can be found here. Remember to take lots of photos of your collection day or awareness stand, share them on social media and send them to us! We can provide you all the materials you will need and advice you on how to obtain licences. Other items such as wigs and hoodies are available to purchase through our shop! If you would like to hold an awareness collection please fill out this from and we will be in touch.